Gary Wolstenholme reviews the brand new pancake lens from Canon, the EF 40mm f/2.8 STM lens. 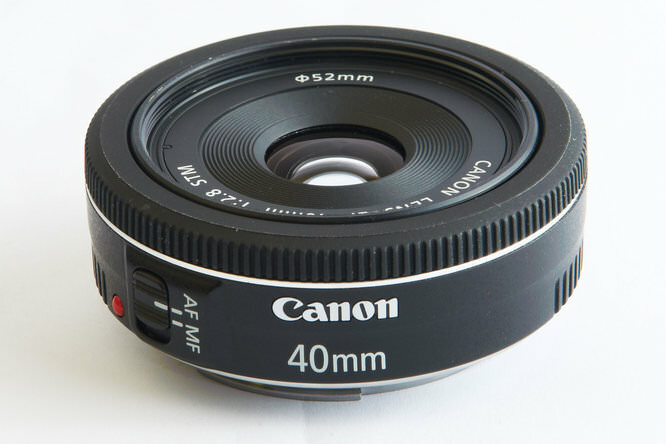 The Canon EF 40mm f/2.8 STM is a slim, compact pancake type lens, which is compatible with Canon EF and EF-S camera bodies and costs around £230. A fast f/2.8 aperture should make this lens ideal for taking pictures in reasonably low light conditions and focusing is powered by Canon's new STM focusing motor. Despite being compact and lightweight, this lens is very solidly built. The lens barrel is constructed from high quality plastics and the lens mount is made of metal. When mounted on a camera, such as the Canon EOS 1Ds MkIII used for testing, the lens only protrudes from the body by around half an inch, which should make it the perfect companion for smaller full frame bodies, such as the EOS 5D series cameras, or even compact entry level models. 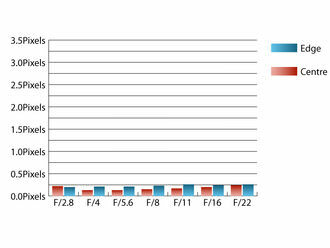 Here the 1.6x crop factor will result in a field of view equivalent to a short telephoto 64mm lens. Autofocus is very swift and precise. A feint noise is made by the motor during focusing, which sounds not unlike what robots do in sci-fi films, but it is certainly quiet enough to cause very few issues. Unlike Canon's USM lenses, full time manual override is possible by keeping the shutter button half depressed whilst focusing, rather than just grabbing the focus ring at any time. A thin manual focus ring, which is damped just enough, provides control for this. A small switch on the side of the lens allows switching between manual and autofocus quickly. Focusing isn't performed internally, but the 52mm filter thread doesn't rotate either, making this lens ideal for use with polarising and graduated filters. At maximum aperture, sharpness in the centre of the frame is already excellent, with clarity towards the edges approaching very good levels. Stopping the lens down improves sharpness across the frame, with clarity across the frame peaking at f/4. 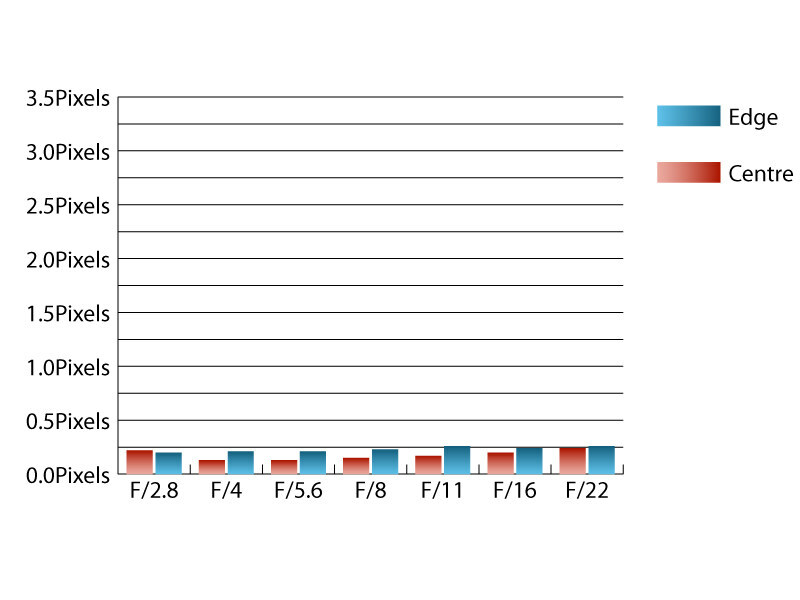 Chromatic aberrations are virtually non-existent, remaining under half a pixel width in size at all apertures. This extremely low level of CA, should pose no issues, even in large prints, or harsh crops from the edges of the frame. As is quite common for lenses of this type, falloff of illumination towards the corners is quite pronounced. At f/2.8 the corners of the frame are 2.1 stops darker than the image centre and visually uniform illumination isn't achieved until f/8. Distortion is well controlled, with Imatest only detecting 0.5% barrelling. This low level of distortion should pose few issues for normal shooting. If absolutely straight lines are paramount, then you'll be glad to hear that the distortion pattern is uniform across the frame, which should make corrections relatively straightforward to apply. No issues with flare were encountered during testing, with only a slight loss of contrast being noticeable when shooting directly into the light at wide apertures. This lens is fairly unique for Canon cameras and the price of around £230 seems fair considering the optical performance. The Canon EF 40mm f/2.8 STM lens is available from Harrison Cameras. Canon's EF 50mm f/1.8 lens may be a suitable alternative for those on a budget, especially as it weights about the same. Even though it isn't as compact or as well built as the 40mm lens, it is considerably cheaper at around £90 and has a maximum aperture over a stop faster. Also, for around the same price, the Canon EF 50mm f/2.5 Macro lens can be picked up. Although this lens is a little bulkier than this 40mm optic, it does allow close focusing and 1:2 magnification. Pancake lenses seem to becoming somewhat fashionable at the moment, due to their small size. Whether having a slim lens is that beneficial on a full size SLR body is open to debate, but at least the optical performance of this lens alone, makes it well worthy of consideration. YOU GUYS ARE WRONG ON MANUAL OVERRIDE - ITS THERE. I KNOW IT IS HARD TO NOTICE, BUT ITS THERE. It works different than with USM Canon lenses, that is why you did not discovered it. You need to half-press the shutter, and keep it half-pressed, and while keeping it half-pressed, you can roll that focus ring and it will give you manual override!!!!! The difference is with USM lenses, you don't have to press or half-press the shutter to get a manual override. YOU GUYS ARE WRONG ON MANUAL OVERRIDE - ITS THERE. I KNOW IT IS HARD TO NOTICE, BUT ITS THERE. It works different than with USM Canon lenses, that is why you did not discovered it. You need to half-press the shutter, and keep it half-pressed, and while keeping it half-pressed, you can roll that focus ring and it will give you manual override!!!!! The difference is with USM lenses, you don't have to press or half-press the shutter to get a manual override. No need to shout sir. ;-) Yes, we seem to have gotten a bit muddled in the very short time we had the lens for testing. We'll get that point amended. No need to shout sir. Yes, we seem to have gotten a bit muddled in the very short time we had the lens for testing. We'll get that point amended. Wonderful to see another review on this new lens! 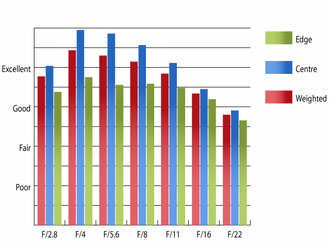 Thank you for the charts and sample photos, now I know it peaks at f4 performance wise. Another justification to get 40mm/2.8 over 50mm/1.8 is smoother bokeh with 40mm due to 7 aperture blades, as 50mm has only 5. 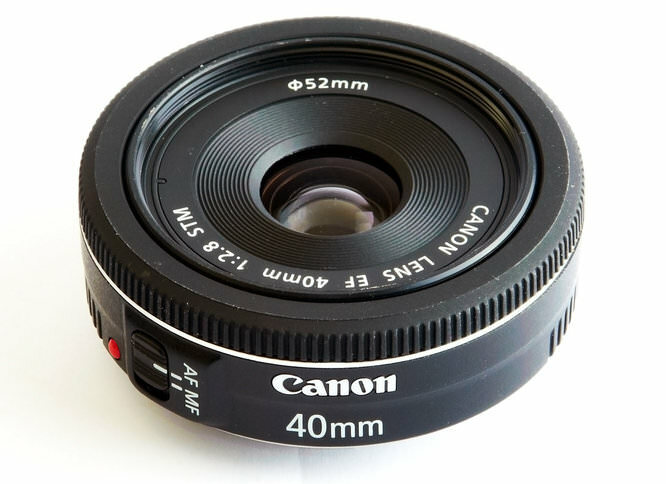 I am looking forward to acquiring Canon's 40mm in addition to 50mm I already have for the smoother bokeh alone. it would seam to me that the rather better made 50/1.4 (that i regard highly) would be better compared to such a lens that 50/1.8 - which though very very sharp when stopped down to f/5.6-8 is not well built or good to focus by any method. I look forward to having a play with the 40/2.8! This is simply the best value you can get in a super sharp Canon lens. Its tiny; its very light; it looks like you dont have a lens on at all, its more like a lens cap; and, its fast, bright, and sharp. I have the 50mm 1.4, and its rarely out of the box these days, = this 40mm lives on my 6D most of the time. Great on a full frame for street shots. This is simply the best value you can get in a super sharp Canon lens. Its tiny; its very light; it looks like you dont have a lens on at all, its more like a lens cap; and, its fast, bright, and sharp. I have the 50mm 1.4, and its rarely out of the box these days, = this 40mm lives on my 6D most of the time. Great on a full frame for street shots.